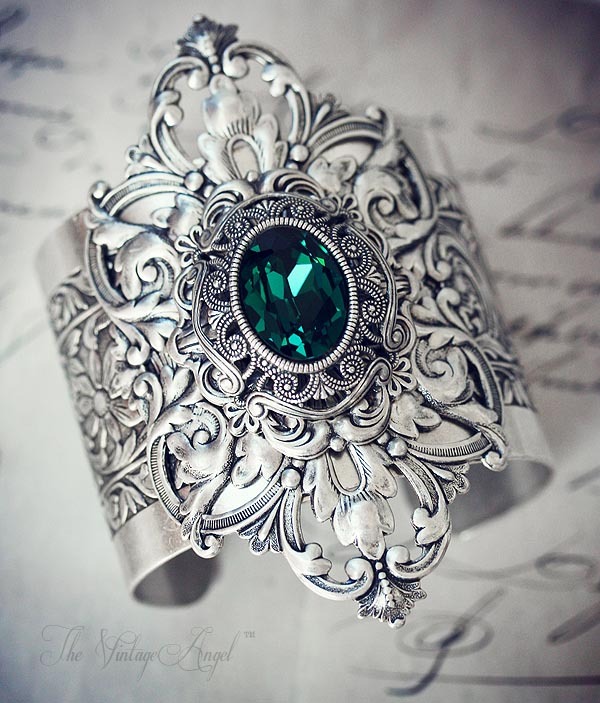 An elaborate, bold fantasy cuff bracelet with so much sparkle and detail. 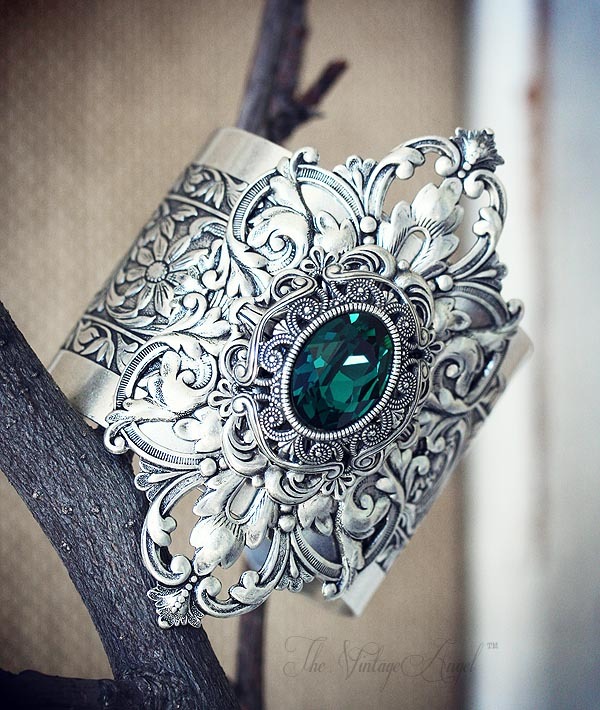 A large, 2" wide sterling silver plated cuff with floral detailing features a large, Victorian style stamping layered with metal rivets for durability. 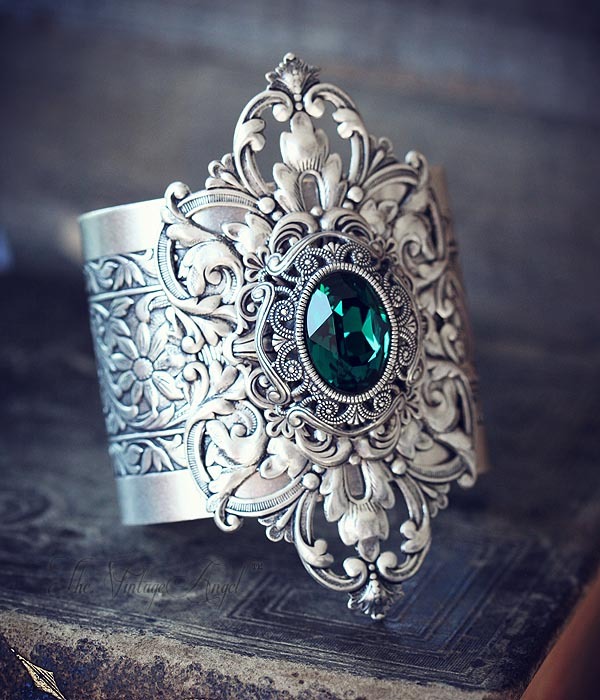 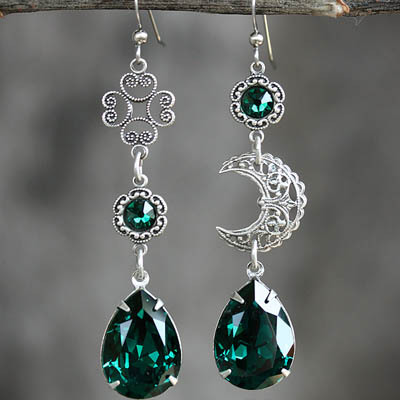 Layers of openwork frame stampings lead up to an 18mm x 13mm faceted Swarovski oval in a rich and vibrant Emerald green, set within an ornate bezel.